DEEP PURPLE (all eras) have been nominated for induction into the Cleveland, Ohio, USA based Rock and Roll Hall Of Fame for 2013. The top vote-getters will be inducted on April 18th, 2013 at the Nokia Theater L.A. live in Los Angeles. The ceremony will be held in Los Angeles for the first time since 1993. It’s usually held in New York at the Waldforf Astoria, but it was held in Cleveland in 1997, 2009 and 2012. 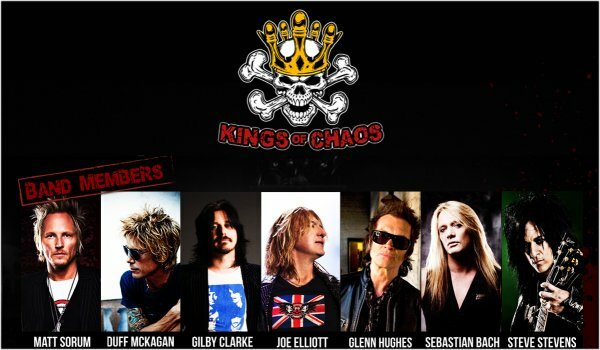 Kings Of Chaos featuring Glenn Hughes and more! A spin-off of the Rock N Roll Allstars ~ Kings Of Chaos is a new live project that Glenn is a member of; comprised of members from some of the greatest rock bands in recent history, performing hits from Guns N’ Roses, Def Leppard, Deep Purple and more. The live project includes Matt Sorum, Duff McKagan, Gilby Clarke, Joe Elliott, Glenn Hughes, Sebastian Bach, Steve Stevens and also a host of special guests! Along with live shows (to be announced), their first appearance is on the upcoming Deep Purple tribute album, “Re-Machined“. Although Glenn appears on that too, it is separate from this new live project. But the band members involved contribute the song, “Never Before“. Friends : I have just landed in LA from London, to hear the sad news of the passing of our brother Jon Lord. 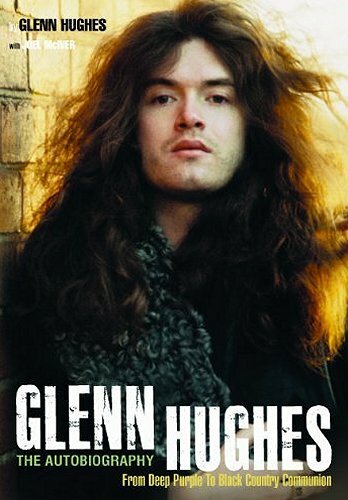 Glenn Hughes will be having a Signing Session for his Autobiography, hosted by Sick Boy, at the annual NorthEast MotorCycle Expo, which is being held at the Seaport World Trade Center in Boston, Massachusetts, USA later this month. Having recently reached the No. 1 spot on Amazon, the paperback (softcover) edition of the Autobiography (“From Deep Purple To Black Country Communion“) written by Glenn Hughes with Joel McIver, is now receiving some outstanding reviews in the media. Two such reviews are from Record Collector (January 2012 issue) and Classic Rock (February 2012 issue) magazines. 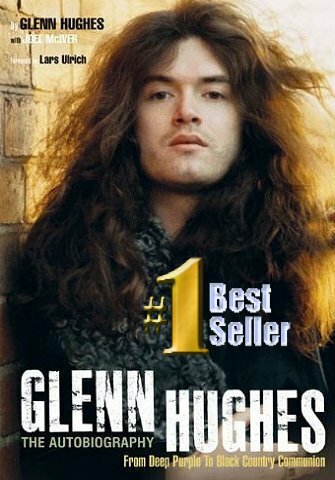 The paperback (softcover) edition of Glenn’s Autobiography, “From Deep Purple To Black Country Communion“, has reached No. 1 on the Amazon.com Rock Reference book chart in the USA and is also ridin’ high on the UK Amazon site. Simply click on the displayed inside pages to view Full Screen and then flip! The paperback edition of the book will be published by JAWBONE and is currently scheduled for release in OCTOBER 2011. You can pre-order the paperback edition from Amazon now! Autobiography Launch & Invite Offer! Glenn’s long awaited autobiography is first released on THURSDAY, MAY 12TH, 2011. “We are pleased to announce that there will be a launch event in London for Glenn’s book on the evening of THURSDAY, 12TH MAY. We will be inviting everybody who has pre-ordered a copy of Glenn’s book and record package, but would also like to extend an invitation to Glenn’s wider loyal fanbase. The evening will feature a solo acoustic set by Glenn, a preview of the book packages, and the opportunity to meet Glenn, co-author Joel McIver and the team at Foruli.